Jacob Surendonks guitar contains two labels. 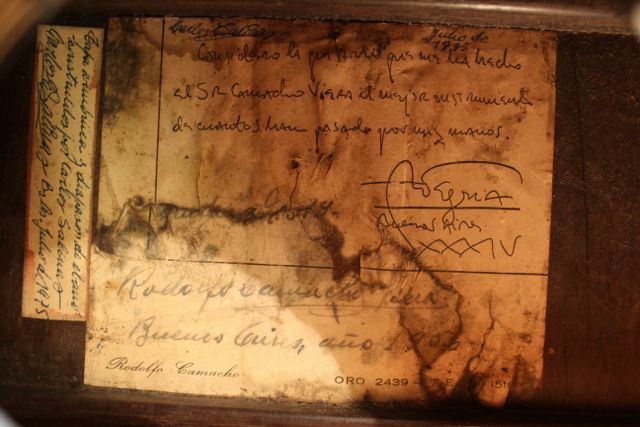 One of them shows Andres Segovia’s signature. Considero la guitarra que me ha hecho el Sr. Camacho Viera el mejor instrumento de cuantos han pasado en mis manos. (I consider the guitar which Sr. Camacho Viera has made for me, the best instrument of all which went through my hands). Andres Segovia, Buenos Aires 1934. On top of the label there is a signature, Carlos Salinas (left) and a date Julio de 1975 (right). Below it says Rodolfo Camacho Viera, Buenos Aires año 1956. The small label on the left says Tapa armónica y diapasón de ébano construida por Carlos Salinas (harmonic top and and ebony fingerboard made by C. S.) Buenos Aires 1975. 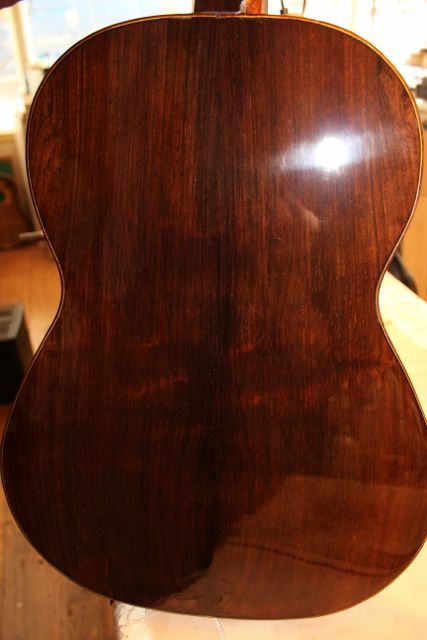 The guitar was made in 1956 by Rodolfo Camacho Viera. 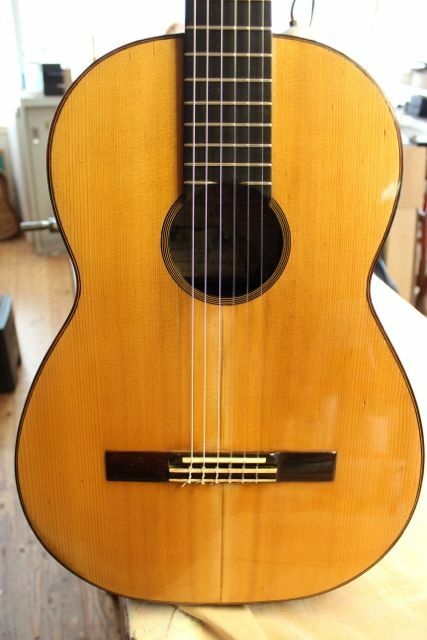 The text of Andres Segovia was written in 1934 and a copy was put in the guitar by the builder as a kind of testimonial. The guitar was repaired by Carlos Salinas in 1975. French polished after having repaired all it’s cracks, Otto Vowinkel, Amsterdam, May 2013.